The KitchenAid 9-speed mixer includes six accessories for mixing, stirring, whipping, and kneading. 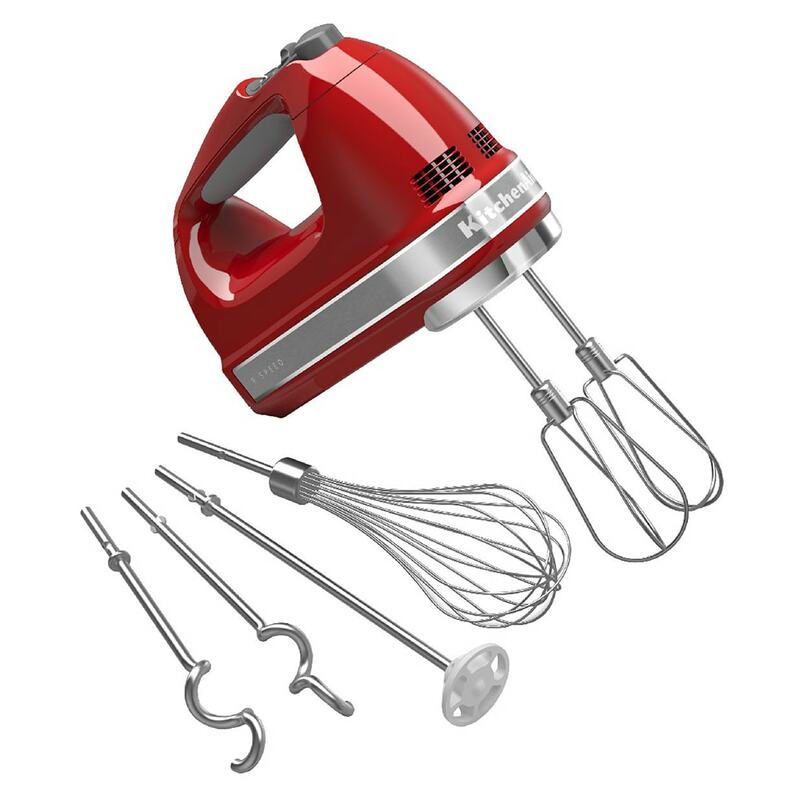 The hand mixer has a comfortable non-slip grip and a lockable swivel cord, which can be adjusted for right- or left-handed operation. A Soft Start® feature prevents splattering by gradually increasing the speed of the mixer when it is turned on.